We know you have many choices when choosing a Podiatrist in Wyoming, MI, so we have made requesting an appointment a simple process via our Web site. If, for some reason, you cannot keep a scheduled appointment, please call as soon as possible. Charges may be incurred for appointments cancelled less than 24 hours before scheduled appointment time. If you are running late for your appointment, please call us. We will try to accommodate you, but it may be necessary to reschedule you for another day. We are participating providers with Medicare, Blue Cross, Blue Care Networks, most Blue Cross Programs, Priority Health, several other HMOs, PPOs and third party insurers. Please feel free to call our office regarding our participation with your insurance. Available in Adobe PDF format. As a licensed podiatrist in Wyoming, MI we believe our patients deserve to have the information needed to make good choices about their foot and ankle care. Our goal is to educate each patient and begin a relevant treatment program with the highest quality of care available. Whatever your foot and ankle trouble, we'll work together to find the answers that will comfort you and bring you relief. We take pride in providing you with a comfortable office experience. Our qualified staff is friendly and will ensure a pleasant visit. 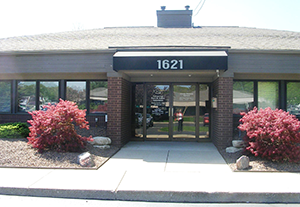 Our main office is conveniently located in Wyoming, MI. We invite you to e-mail or call our office with any questions via the contact us or request an appointment page of our Web site.